A message from Greenest City. Please share with your neighbours. 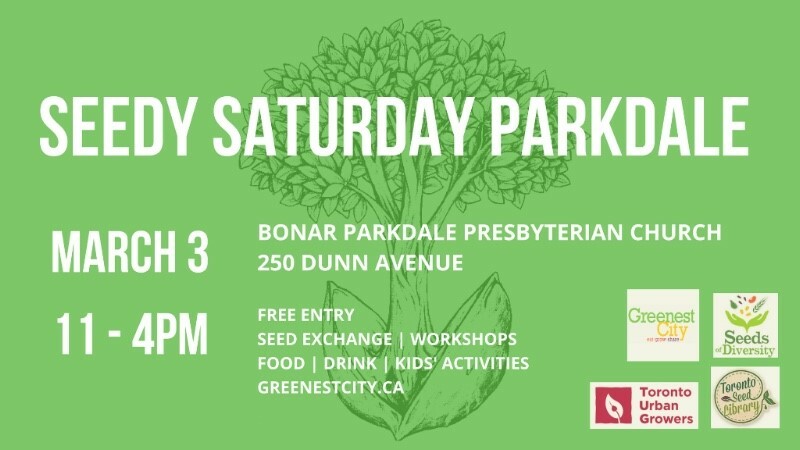 Seedy Saturday Parkdale is fast approaching – this Saturday March 3rd 11:00 -4:00pm, at Bonar-Parkdale Presbyterian Church! 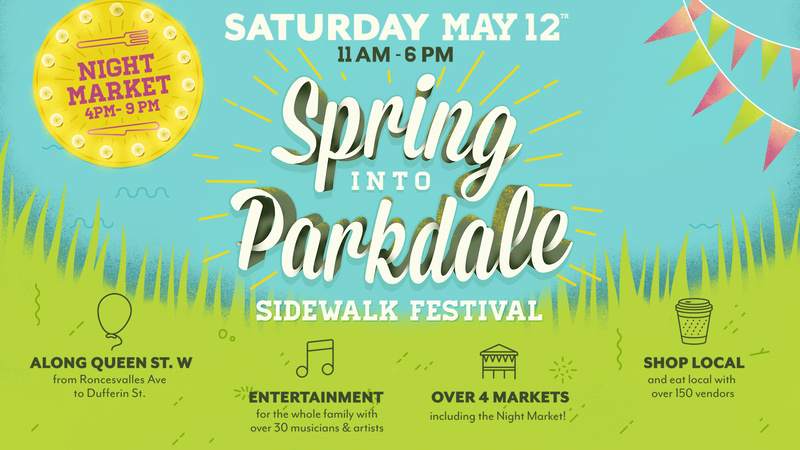 We are still in need of volunteers for set up, kids’ activities, tabling support, take down and photography! If you are interested in community events, gardening/urban agriculture, or want to check out some of our amazing kitchen garden workshops – THIS IS THE EVENT FOR YOU! Please fill out this form or get in touch by responding to this email. We are ideally looking for 3 hour commitments between 9am-5pm, but would be thrilled with whatever time you are willing to give! If you’re unable to volunteer, we hope you’ll still swing by Seedy Saturday between 11:00 – 4:00! And be sure to share our Facebook event page and keep checking the site for updates! 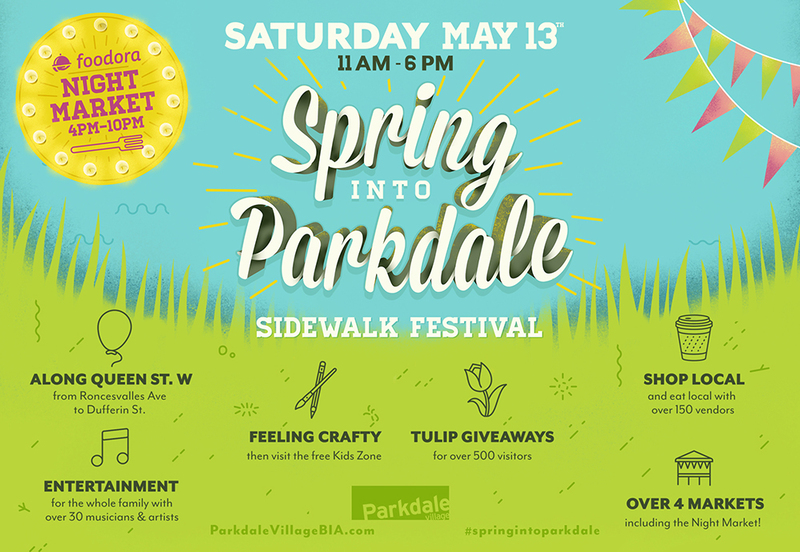 Looking forward to our best Seedy Saturday Parkdale yet! For more details, contact Molly Fremes at communications@greenestcity.ca. City of Toronto invites you to free Family Skating at Ricoh Coliseum (45 Manitoba Drive), located on the grounds of the Exhibition Place from March 13 – March 16, 2018, 1:30 – 4:30 pm. More details are below. Are you a RESIDENT-LED GROUP with a great event idea that needs funding? Grants of $1,000 – $3,000 are available to activate your neighbourhood and advance the Toronto Strong Neighbourhood Strategy 2020 (TSNS 2020). What is the Neighbourhood Grants Program? The Neighbourhood Grants program will make available small grants of $1,000-$3,000 to resident-led groups to help them inspire their neighbourhoods with events or activities held between July 15 and December 31, 2018. A maximum of $5,000 will be available in each of the 39 identified neighbourhoods (31 Neighbourhood Improvement Areas or 8 Emerging Neighbourhoods). See the list of 39 identified neighbourhoods under the Eligible Neighbourhoods tab. Download a working document of sample application questions (in Word doc) to help you kick start your planning! Find contacts of your local Community Development Officer for questions, list of eligible and ineligible expenses, guidelines for your mentor, etc. The Online Application Form will be open starting April 3rd. Deadline for applications is May 4, 2018. If your group is eligible, you are strongly encouraged to attend a Neighbourhood Grant Planning Session to be held in March and/or April. Check out the list of meetings for your local Neighbourhood Grant Planning session. January 31st & February 1st, 2018: Councillor Gord Perks at City Council on Toronto Hydro Inquiry, Affordable Housing & Shelter, and Car-Share Pilot. For gardeners in Canada’s Carolinian zone, “In the Zone” provides tools to gradually transform backyards into woodland, water, and wildflower gardens for native wildlife. Learn about this program’s free resources and connect with its community of gardeners.